There are many people who believe home renovations are most beneficial when completed inside the home. However, there are many reasons to consider exterior renovations. Research shows that when the exterior of the home looks nice, people are more likely to spend time in their yards and gardens. This in turn leads to a higher level of curb appeal. It may also affect your family’s mental health positively. Once you decide to complete exterior renovations, there are important things to consider. First, tackle urgent issues. 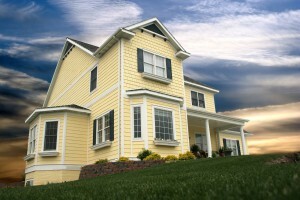 Some examples of this may include replacing damaged siding or roofing. These exterior surfaces are vital for the protection and stability of your house, so if they show signs of wear, have holes or cracks, or are missing in areas, contact a professional for immediate help. Your second step should be to tackle any mess, yard debris, stains on the home, and similar cleaning up. You might rent power wash equipment, touch up the paint, and add fresh mulching to the gardens. These quick, straightforward steps can have a huge impact on the appearance of your yard and home. The third consideration is regarding how much of the work you could do yourself. For example, you might put a lot of effort into nurturing a healthy, green lawn or you could put in a garden. These tasks are often within reach for most homeowners and have the potential for creating a huge improvement in the appearance of your home’s exterior. Are there areas in your yard that need the attention of a remodeling expert? Maybe you’d like to install a patio or replace some exterior stairs. Improvements such as these can lead to a more inviting atmosphere, so that you’re more likely to entertain outside or spend time as a family in the yard. What else have you done to improve the exterior of your home and yard? Exterior renovations can bump up your enjoyment of your living spaces. Work closely with professionals for the best results.